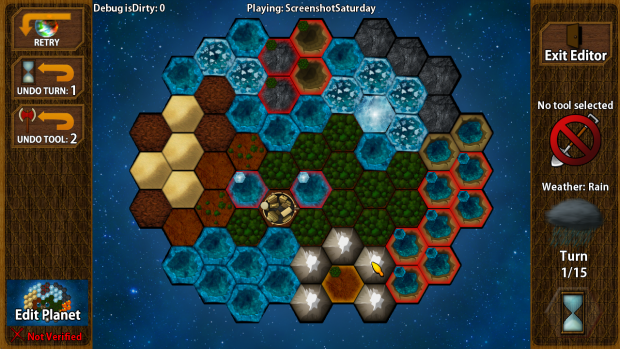 Terraform is a relaxing turn based puzzle game set in the future. Alter over 200 planets to allow settlements and forests to survive. Planets are made of hexagonal tiles that can be altered using many different tools and weather conditions. Use rain weather to fill a dried out lake with water, hot weather to prevent forests from expanding too far or burn them down, spread deserts and more. Some new screenshots of the level editor and the Steam workshop integration in the level select screen.